0) Weekly Robotics #32 Survey Results. INFO: In Weekly Robotics #32 we created a survey that was completed by 66 readers. Thank you! The post above contains the results of the survey with some commentary, plans for the future and current state of the newsletter. 1) BREEZE- Bioinspired Ray for Extreme Environments and Zonal Exploration. INFO: BREEZE is a research project by Javid Bayandor from State University of New York that received funding as part of the NASA Innovative Advanced Concepts (NIAC) program. The project will explore developing a flying ray built from inflatable structures with bio-inspired kinematics. INFO: This YouTube video by Skyentific presents an Orbital Drive a speed reducer for brushless motor with ratio of 35:1. There is a follow up video from the author from two weeks ago in which he tests the Orbital Drive with ODrive, an open source motor controller. 3) The Age of Robot Farmers. INFO: In this article from The New Yorker John Seabrook describes the current state of the strawberry farm labour market in the US and how robotized strawberry pickers can come to the rescue. We like how this article presents the business case for robots for strawberry picking without overselling it. Another thing we liked is the mentioned ‘demo effect’ during the picker presentation and how cautious one has to be if the Lidar is off. 4) Hello (Real) World with ROS – Robot Operating System. INFO: If you are looking to learn ROS you might consider taking a look at this free edX course that covers ROS setup, communication, autonomous navigation, motion planning and object detection. 5) Robots Help Archaeologists to Explore Pre-Incan Ruins in Peru (2018). INFO: This article (and a featured video) presents how Archaeologists from Stanford Archaeology Center are using robots for ruins exploration. In the video we can see a Vinebot (you can see how to make one in this tutorial) and a small mobile rover being used in the field. 6) SpaceX Falcon Heavy Sticks Triple Rocket Landing with 1st Commercial Launch. INFO: SpaceX Falcon Heavy had it first operational mission debut on April 11th. The rocket deployed an Arabsat-6A satellite and finished the mission by having the two side boosters land on the ground and the center booster land on the drone ship stationed in the Atlantic Ocean. 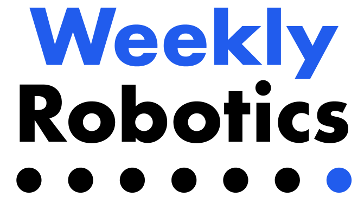 7) Publication of the week - Quasi-Direct Drive for Low-Cost Compliant Robotic Manipulation (2019). INFO: This paper introduces Blue - a force-controlled low-cost 7 DoF robotic arm capable of handling payloads of up to 2 kg (4.4 lb) designed by engineers from Berkeley. The robot is meant to work well in unstructured environments while costing under $5,000 when produced in large volumes. The robot’s control system is running on Intel NUC and heavily utilizing ros_control package. The project website contains further information about the project, including videos showing the robot performing various tasks and tests performed on the robot. INFO: RobotShop is the world’s leading source of robotics technology. It provides personal, domestic, and professional robots, development platforms, kits, and specialized robotic parts. RobotShop is also an important source for robotics education, innovation and research. Use code Weekly5% for 5% discount off your first order until May 31st. 1) Dorabot (Various Locations) - Various Positions. INFO: Our engineers are developing innovative industrial solutions that work flexibly in semi-structured environments, supported by business professionals with decades of experience leading innovative enterprises. We found this video from Dorabot to be really worth a watch! 2) RE 2 Robotics (Pittsburgh, PA, US) - Various Positions. INFO: RE2 Robotics is dedicated to creating a next generation of mobile robotics technologies that help users better interact with their environments. We mentioned RE2 performing robotic disaster cleanup in Weekly Robotics #33. 3) Mobile Industrial Robots (Odense, Denmark) - Functional Safety Software Developer. INFO: Mobile Industrial Robots is a leading manufacturer of collaborative mobile robots. We are dedicated to developing user-friendly, flexible and safe robots to help companies increase the efficiency of their operations. 1) Self-driving Moving Hackathon For Engineers and Hackers. INFO: Moving Hackathon is a global meetup and hackathon event for self-driving startups, engineers, developers and enthusiasts worldwide. Aiming to lower the entry barrier of self-driving, Moving Hackathon provides car platforms equipped with computing abilities, drive-by-wire control and other hardware support onsite, also closed urban roads to test and challenge for global self-driving engineers. Moving Hackathon is meant to spark the spirit of engineering and facilitate the mutual growth. Apply before Apr.18th and get flight reimbursement, free accommodation and meals. INFO: Via website: This is the 2019 Hackaday Prize, the worldwide hardware design contest focused on product development. We know you can build a working prototype, and we still want to see you do that. But a great idea should have reach beyond your own workshop. This year’s Hackaday Prize is about taking your product across the finish line, from concept to design for manufacture. 3) Apply to the 2nd RobotUnion Open Call and Get Up to €223K Equity Free Funding and Full Acceleration Package. INFO: RobotUnion, the pan-European acceleration programme related to the robotics industry, has launched its second call with €4 million equity free funding for startups and SMEs. Through this call, RobotUnion lead by Fundingbox will continue the acceleration journey with other 20 startups that will develop projects in the field of robotics linked to agri-food, healthcare, civil engineering and manufacturing. Each selected company could receive up to €223,000 public funding as well as access to technological support from European robotics experts and business acceleration services. The best-performing companies participating in the programme will have a chance to obtain an additional €1 million of private investment in funding rounds led by the top VCs and investment advisors from the Robotic Industry. Powered by Jekyll based on the Monochrome theme.